Almost daily, the boomtown growth of online activity generates more opportunities for cybercrime, identity theft, loss of data, and invasion of your privacy. To this lawless high-tech frontier comes the cavalry, mounted on (or in) blue PT Cruisers-Geeks On Call. 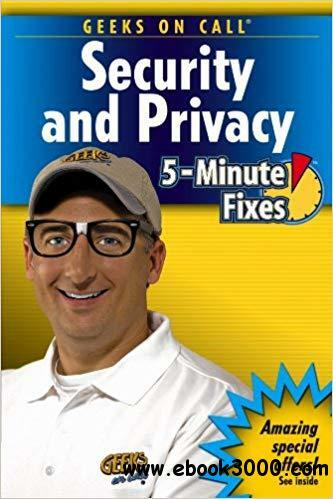 Now they're helping you build that all-important first line of defense, with quick, easy-to-follow solutions to the most common security problems, plus simple steps you can take to protect your computer, your privacy, and your personal information-today. Geeks On Call(r) is the premier provider of on-site computer services. The certified, trained and tested technicians from Geeks On Call provide expert computer installation and networking services, on-site repairs, security solutions and system upgrades for residential and commercial customers numbering in the hundreds of thousands each year. Founded in 1999, Geeks On Call began franchising in 2001. For more information, call 1-800-905-GEEK or visit www.geeksoncall.com. Geeks On Call franchises are independently owned and operated.